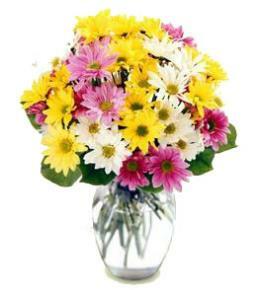 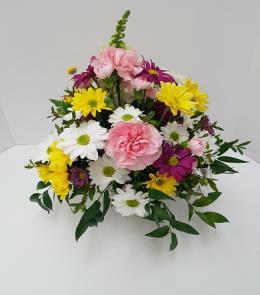 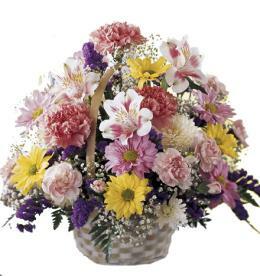 The Birthday Bouquet by FTD is a bright splash of birthday fun that will add that little extra something to the big day! 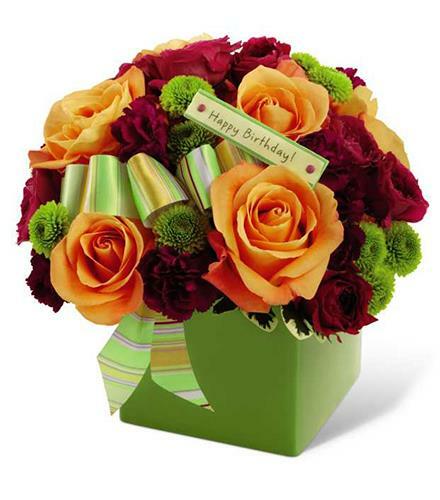 Orange roses are simply lovely arranged with fuchsia spray roses, plum miniature carnations and green button poms, accented with a lime green designer ribbon. 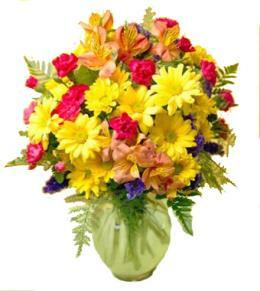 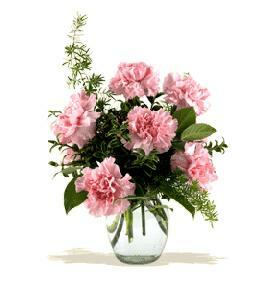 Seated in a bright green ceramic block vase, this bouquet expresses your most happy wishes for a fantastic birthday. 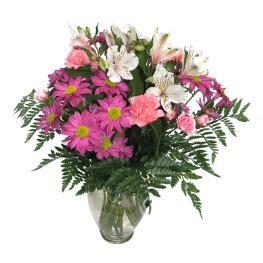 Birthday Flowers For Mom - Birthday Flowers Bouquet.